Australian Not for Profits are making improvements to technology efficiency according to new research which shows 66 per cent of NFP organisations plan to move to the cloud within the next three years, on par with 64 per cent of organisations worldwide. US based Not for Profit TechSoup Global, conducted the international research survey to help better understand NFPs' current technology infrastructure. TechSoup Global’s Not for Profit partner for Australia and New Zealand, Connecting Up, facilitated the involvement of local NFPs in the global survey. 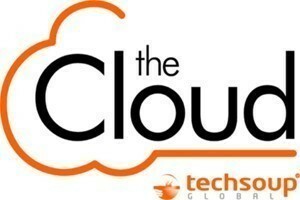 "Coming to grips with the cloud is a necessity for all businesses and organisations in the near future, which is why it is essential that we and local IT companies understand what the barriers and motivators are to develop tailored solutions for our NFP sector in Australia,” Connecting Up CEO Doug Jacquier says. The global survey of 10,500 NFP and charitable organisations from 88 countries found 90 per cent of NFPs worldwide are using some form of cloud technology, however 86 per cent attribute lack of knowledge as the biggest barrier to the adoption of additional cloud services. Similarly, 93 per cent of Australian NFPs attribute lack of knowledge of senior management, funders or staff as a major barrier to adoption of more cloud services. While the barriers identified in the survey highlight problems NFPs are currently experiencing, Connecting Up believes the motivating factors identified provide valuable insights for the NFP and IT sectors. “The cloud services currently used by Australian NFPs mostly involve email (e.g. Hotmail, Gmail, Microsoft Office 365). However organisations said they would be motivated to move more of their IT to the cloud with availability of advice or assistance from a trusted advisor (31 per cent), and more training for staff (27 per cent), which means they are looking for knowledge and expertise,” Jacquier said. In addition to the survey results, the uptake of Connecting Up and TechSoup Global’s technology donation program also shows the thirst from the NFP sector for IT services and software. “Over 10,000 eligible NFPs in Australia have received more than $150million worth of the latest products and upgrades from companies such as Microsoft, Cisco and Symantec.